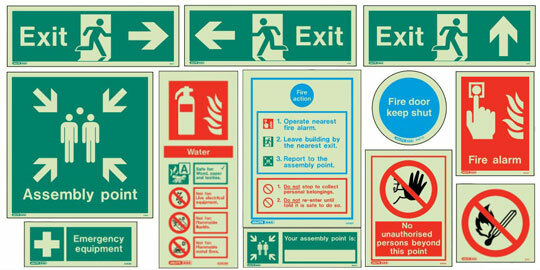 We offer our customers a full range of fire protection products and safety equipment which comply with current British Standards BS5499-1. 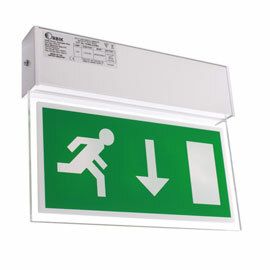 We stock all major types of fire and directional signage including photoluminescent wall and floor signs. 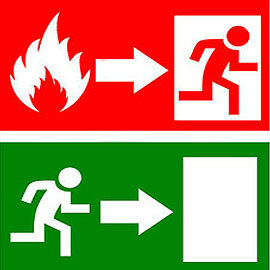 We will survey your entire premises and escape routes and recommend the ideal amount, type and placement of your signs to ensure optimum benefit to occupants in case of emergency.